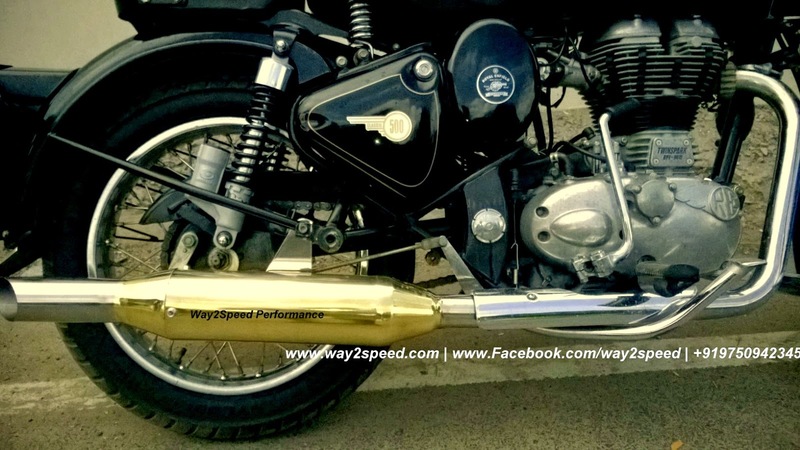 Royal Enfield Rifle Exhaust by way2speed Performance is a unique Royal Enfield silencer hand crafted from the best quality brass and stainless steel. 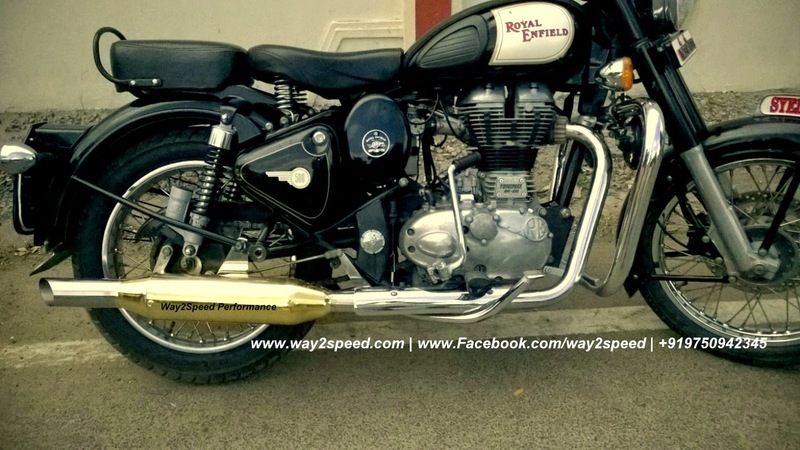 Way2speed Royal Enfield Rifle Exhaust Brass and Stainless steel construction reduces weight of the exhaust system. 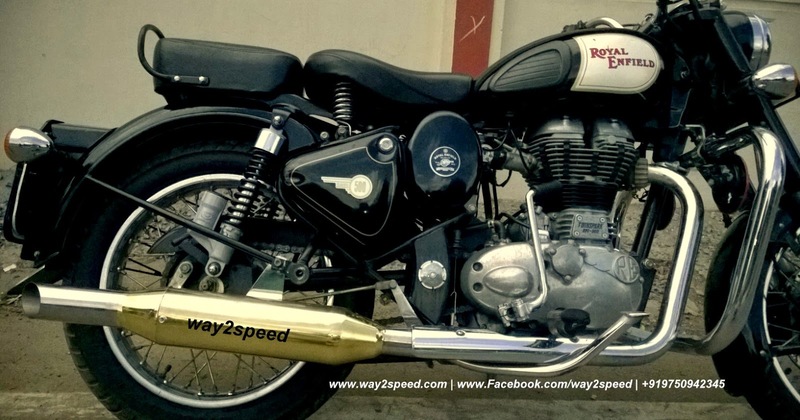 Way2speed Royal Enfield Rifle Exhaust (Brass) never rusts. 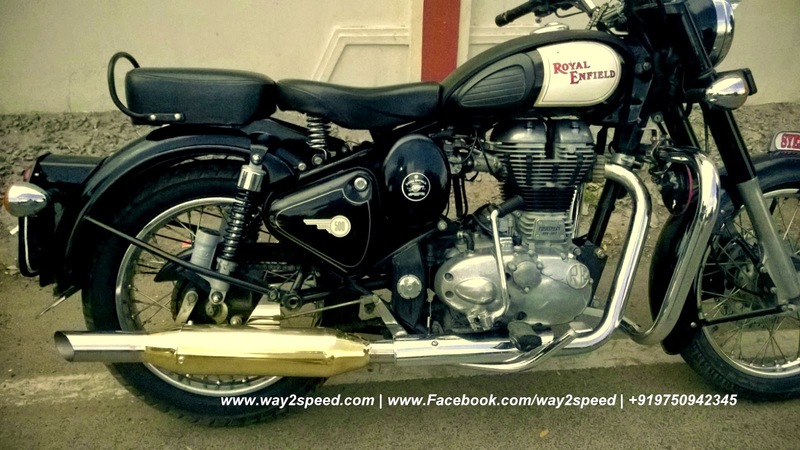 Way2speed Royal Enfield silencers increase the thump and provides a nice deep bass tone. 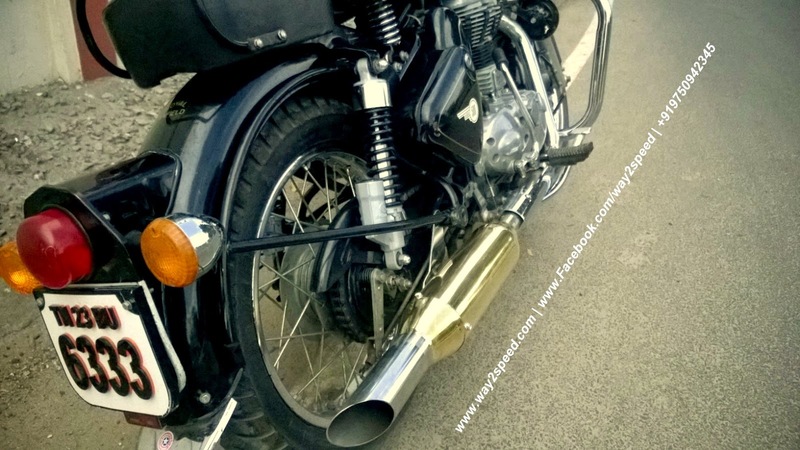 Brass metal construction gives a better resonance. 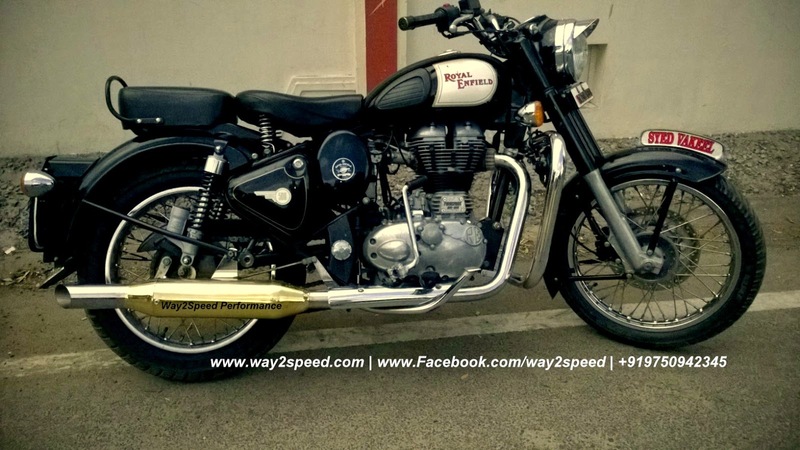 Way2speed Royal Enfield Exhaust systems increase the engine performance. 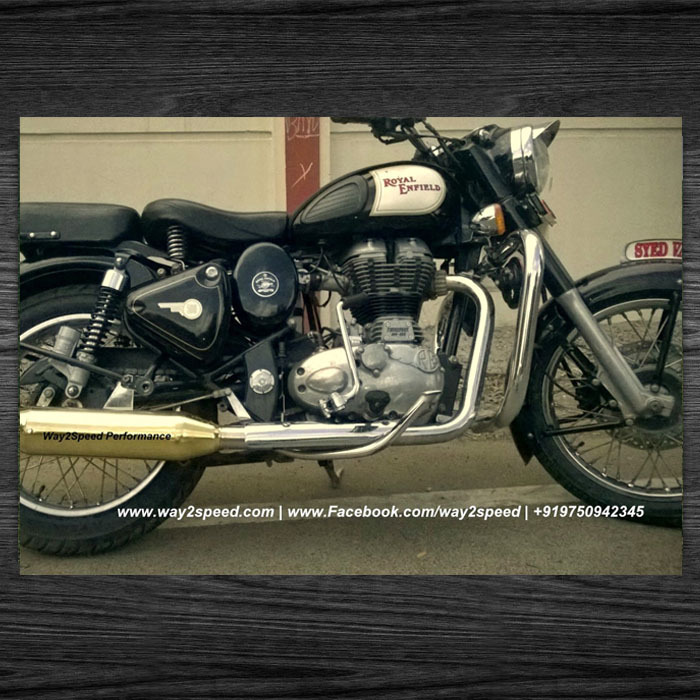 Way2speed Royal Enfield Rifle Exhaust is custom hand made and made based on order. 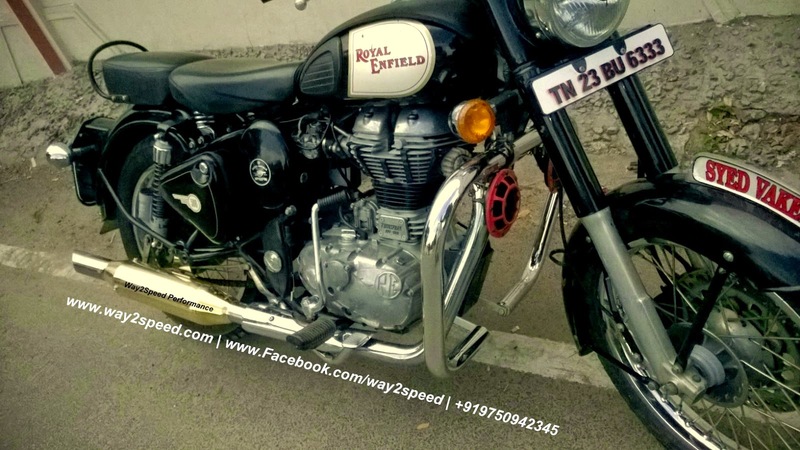 Way2speed Royal Enfield Rifle Exhaust suits Royal enfield classic 350, Royal enfield classic 500, Royal enfield desert strom, Royal enfield classic chrome, Royal enfield thunderbird 350, Royal enfield thunderbird 500, Royal enfield standard 350, Royal enfield standard 500, Royal enfield electra.